OK, that headline is a sad pun and a slight fib - rootsy country singer Tift Merritt won't be completely on her own, she'll have a band, but her upcoming studio album is entitled 'Travelling Alone' and is thus prime headline-creating material. Not that Merritt's career hasn't had plenty of headlines of its own - although relatively little known in the UK, back home in the U.S. of A., she's had a Grammy Award nomination for 2004 album 'Tambourine', a handful more suggested for the AMA (Americana Music Association) Album, Song and Artist of the Year 2005, worked with BRIT-winning producer Ethan Johns and A&R/producer George Drakoulias (Tom Petty, The Jayhawks, The Black Crowes, Def Jam etc) and been compared with Joni Mitchell, Emmylou Harris and Mary Chapin Carpenter. And so, from a pretty impressive CV thus far to the music. 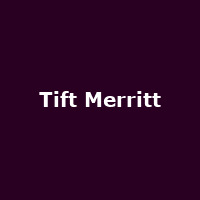 Curiously, Merritt sort of fits in with all of the above, as well as Laura Veirs, Eileen Rose and Iron & Wine - aficionados of any of these singers should find solace with the Tift that keeps on giving. Her latest album is due out next week - 'Travelling Alone' is her fifth studio project and, on the strength of two recently released free downloads, promises yet more beautifully crafted and poignant melodies to sink your teeth into. Head to her website and you can download 'Sweet Song' from the album - its title as apt as its subject. During November, Tift Merritt will be performing a handful of shows over here, starting with Islington on 22nd, followed by Oxford, Manchester, Edinburgh and finally Newcastle. We have tickets for all shows, priced at £14 (£15 for London). Her album is issued on Yep Roc on 2nd October.